Summary: While awaiting the fulfillment of the new Jerusalem, we still live in Christ’s Church, the Jerusalem of faith. She is the mother who wraps herself around us — holding, comforting, and consoling. She bore us in the womb of the font and gathers us to her breast to hear God’s forgiving Word and to feed on Jesus’ body and blood. As long as we live, we’ll never outgrow our need to nurse upon her pure spiritual milk, to rest in the lap of Christian worship. We must continue having our soiled garments cleansed, our hunger fed, our thirst slaked, and our fears calmed. Whether held tightly to the Church’s breast or dandled joyfully on her lap, we receive the nurture we need throughout all our earthly days. 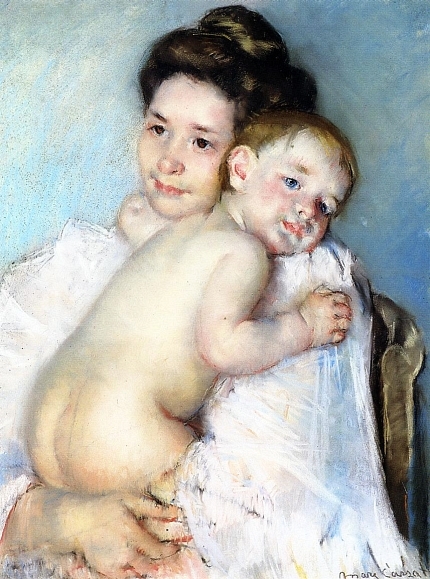 Audio: Click to hear the MP3 of Safe in Mother’s Arms. 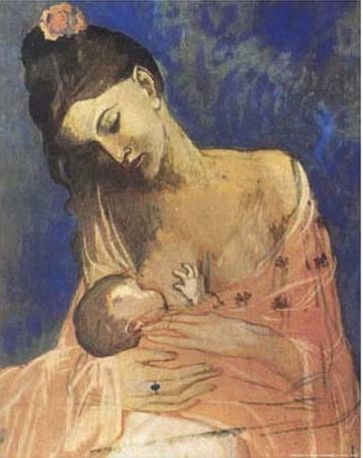 Illustrations: Detail of Maternity by Pablo Picasso (1905) and Mary Cassatt’s Mother Berthe Holding Her Baby (1900).